Ambient Air Quality Monitoring is an important part of Environmental Monitoring. Before commencing Ambient Air Quality monitoring there are certain guidelines which needs to be followed. Ambient Air Quality monitoring guidelines minimize the risk of getting wrong data due to improper methods. It includes details about number of vehicles, type of fuel used, composition of fuel used, number of stacks present, height of stacks etc. this data will help in identifying which pollutant can be present and can be measured. This data can help to identify whether are they complaining about pollutants. can be installed in heavy population density areas. 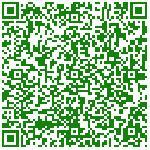 Temperature, humidity, wind speed and direction needs to be collected. Wind directions, humidity plays an important role in placement of Ambient Air Quality monitoring system. If there are any river valleys, mountains in monitoring area then variation in concentration of pollutants is large. Historical data can help to see magnitude of problem i.e. concentration of pollutants is showing upward or downward trend. Historical or current information about pollutants present in air can give idea about number and placement of locations. As per Ambient Air Quality monitoring guidelines number of sites are depends upon size of area, Variation of pollutants, Data requirements, number of pollutants to be monitored. 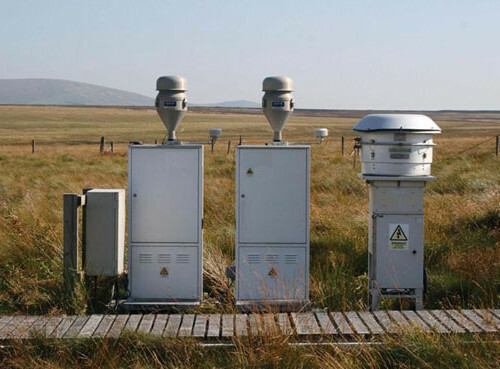 The number of Ambient Air Quality monitoring stations can be increased or decreased based upon historical data trends. It is also depends on density of population, number of industries and vehicles etc. Ambient Air Quality monitoring should be done in areas where pollution problem exists and is expected. Eg. Industrial areas, traffic intersections roads, high population density area etc. Selection of sampling point should be done carefully as incorrect location may result in high or low concentration of pollutants present in air and it will not meet objective of Ambient Air Quality monitoring. The site should be away from major pollution sources i.e. chimney, stacks etc. it should have at least 25 m distance from source. Site chose for monitoring should be available (No reconstruction or new construction) for long period i.e. in years. Because change in monitoring station may mislead trends. should be placed where free air flow is available. It should be open from all sides. Site should have sheltering, Electricity, water etc. The distance of sampling point from road is depends on number of vehicles running on that road. Distance of sampler from any building should be double the height of building from sampler. Most commonly carbon monoxide, SO2, NO2, SPM and RSPM are monitored on regular basis. As per Ambient Air Quality monitoring guidelines if monitoring area is industrial area then expected pollutants are also needs to be monitored on regular basis. If resources are available then Polycyclic Aromatic, Hydrocarbons (PAHs), ozone can also be monitored. In high population and traffic areas SO2, NO2, RSPM, SPM and CO can be monitored. In industrial areas RSPM/PM10, SO2 can be monitored. In soil borne dust, dust originating from construction activities SPM can be monitored. Ares where downwind flow is present there ozone can be monitoring as Ozone O3 is present in upper layer of atmosphere. It is formed due to reactions of pollutants present in atmosphere. To get annual average of pollutants present in atmosphere it is recommended that minimum 104 monitoring for 24 hrs i.e. twice a week. Pollutants behave very differently in each season. That is why to calculate annual average sampling should be done over the year. Instrument used in monitoring should be easy to use, requires minimum maintenance and well calibrated. Automatic or online Ambient Air Quality samplers are complex, costly and requires skilled manpower to operate them. 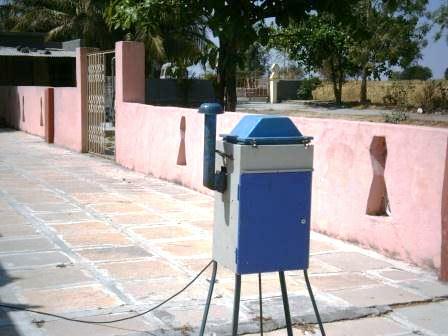 High volume sample is most commonly used air sampler in India. Reagent bottles should have name of reagent, concentration, date of preparation, expiry date and name of chemist who prepared that reagent. You can refer to our online air monitoring calculator to calculate mass concentration, total volume of air and Particulate matter. Meteorology plays an important role in study of air pollution. It is necessary to measure meteorology parameters. Essential meteorological parameters should be measured are wind speed, direction, humidity, temperature, rainfall, atmospheric pressure etc. Moisture is measured because absence of moisture may lead in drying of mucous, sore throat and cough. 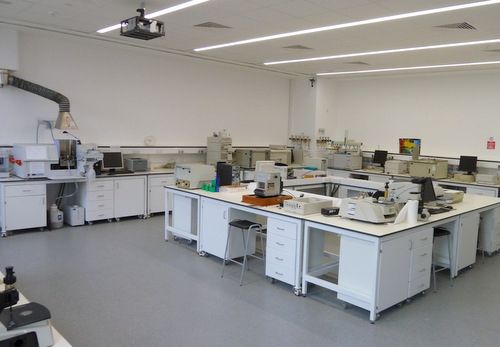 The samples collected from site are analysed in laboratory. It should be near from site so that loss due to incorrect handling and transportation can be minimalized. Laboratory should have apparatus like refrigerator, balance oven spectrophotometer etc. and all instruments needs to be calibrated to reduce errors. Let us know if you have any questions or suggestion about Ambient Air Quality monitoring guidelines.